Godzilla vs. Hedorah (ゴジラ対ヘドラ, Gojira tai Hedora) is a 1971 Japanese science fiction kaiju film featuring Godzilla, produced and distributed by Toho. The film is directed by Yoshimitsu Banno, with special effects by Teruyoshi Nakano and stars Akira Yamauchi, Toshie Kimura, and Hiroyuki Kawase, with Haruo Nakajima as Godzilla and Kenpachiro Satsuma as Hedorah. Satsuma would later go on to play Godzilla for the Heisei Godzilla series. It is the 11th film in the Godzilla franchise and the Shōwa Godzilla series. The film was released in Japan on July 24, 1971 and theatrically in the United States in April 1972 by American International Pictures as Godzilla vs. the Smog Monster and as a double feature with the American eco-horror film Frogs. The microscopic alien life-form Hedorah feeds on Earth's pollution and grows into a poisonous, acid-secreting sea monster. After it sinks an oil tanker and attacks Dr. Toru Yano and his young son Ken Yano, scarring the doctor, Hedorah's toxic existence is revealed to the public. Ken Yano has visions of Godzilla fighting the world's pollution and insists Godzilla will come to humankind's aid against Hedorah. Hedorah metamorphoses into an amphibious form, allowing it to move onto land to feed on additional sources of pollution. Hedorah is confronted by Godzilla. Hedorah is easily overpowered by Godzilla and retreats into the sea. During the fight, however, several pieces of its new body are flung nearby, which then crawl back into the sea to grow anew and allow the monster to become even more powerful. It returns shortly thereafter in a flying saucer-like shape and demonstrating newer, even deadlier forms which it can switch between at will. Thousands of people die in Hedorah's raids and even Godzilla is overwhelmed by Hedorah's poisonous emissions. As hope sinks, a party is thrown on Mt. Fuji to celebrate one last day of life before humankind succumbs to Hedorah. Ken Yano, Yukio Keuchi, Miki Fujiyama, and the other partygoers realize that Godzilla and Hedorah have come to Mt. Fuji as well for a final confrontation. Dr. Toru Yano and his wife Toshie Yano has determined that drying out Hedorah's body may destroy the otherwise unkillable monster. The JSDF swiftly constructs two gigantic electrodes for this purpose, but their power is cut off by Godzilla and Hedorah's violent battle. Godzilla energizes the electrodes with its atomic heat ray, dehydrating Hedorah's outer body. Hedorah sheds this outer body and takes flight to escape, but Godzilla propels itself through the air with its atomic heat ray to give chase. Godzilla drags Hedorah back to the electrodes and continues to dehydrate it until Hedorah dies. Godzilla tears apart Hedorah's dried-out body and dehydrates the pieces until nothing remains but dust. Godzilla returns to the sea, but not before glaring threateningly at the surviving humanity whose pollution spawned Hedorah. Ken Yano bids goodbye to Godzilla. Director Banno initially conceived the idea for Godzilla vs. Hedorah after seeing cities like Yokkaichi covered in black smog and the ocean filled with foam from dumped detergent and formulated the story of an alien tadpole transforming into a monster as a result of the pollution. The film marked director Banno's directorial debut; however, the budget for Godzilla vs. Hedorah was significantly lower than previous Godzilla films. Banno was only given 35 days to shoot the film and only had one team available to shoot both the drama and monster effects scenes. Veteran Godzilla director Ishirō Honda was later tasked by producer Tomoyuki Tanaka to watch Banno's rough cut and provide advice. Kenpachiro Satsuma, the actor who played Hedorah, was struck with appendicitis during the production. Doctors were forced to perform the appendectomy while he was still wearing the Hedorah suit, due to the length of time it took to take off. During the operation, Satsuma learned that painkillers had no effect on him. Director Yoshimitsu Banno was going to make a sequel to this film, but it was scrapped due to the fact that Tomoyuki Tanaka reportedly hated Godzilla vs. Hedorah, so he fired Yoshimitsu Banno. The next film was going to be called Godzilla vs. Redmoon, but this was scrapped and later became Daigoro vs. Goliath, then they planned a new film called Godzilla vs. The Space Monsters: Earth Defensive Directive, but this was also scrapped and then became The Return of King Ghidorah, which was also scrapped, after which they ultimately made Godzilla vs. Gigan. The film was released in April 1972 by American International Pictures under the title Godzilla vs. the Smog Monster. There were several small alterations: dialogue was dubbed into English by Titan Productions, several shots with Japanese text were replaced with English or textless equivalents, additional sound effects and foley were added to some scenes, and the song "Save the Earth" (based on "Give Back the Sun! ", a song in the original Japanese version of the film) was added. This version was rated 'G' by the MPAA, and the same version was given an 'A' certificate by the BBFC for its UK theatrical release in 1975. The AIP version has been replaced in the North American home video and television markets (including Sony's DVD and Kraken Releasing's DVD and Blu-ray) by Toho's international version, titled Godzilla vs. Hedorah. 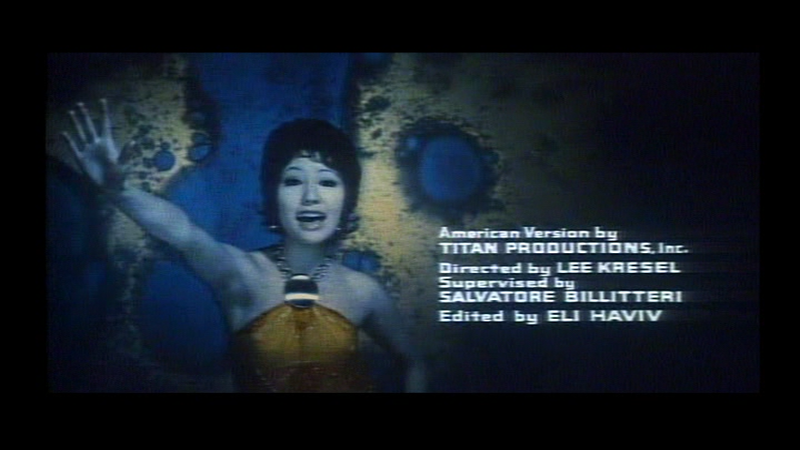 This version features the original English dub produced in Hong Kong and by extension lacks the English-language song "Save the Earth". This version was first broadcast in the United States by the Sci-Fi Channel on January 20, 1996. Critical reaction to the film has been mixed, with some embracing its eccentricity and others deriding it. According to the review aggregator website Rotten Tomatoes, 64% of critics have given the film a positive review based on 11 reviews, with an average rating of 5.31/10. Japan Hero said the film is "recommended for Godzilla fans, but don't expect much out of it," adding that while "the special effects appear to be pretty good" and "watching it in its original [Japanese] language does make the movie more tolerable," "the character designs ... are bad" and "the music ... really kills the movie." Monster Zero criticized the film's production values and said that it "succeeds in carrying the series over the edge into strictly kid's stuff" and "begins the series' inexorable slide into oblivion." Stomp Tokyo said the film has "many obvious, crippling flaws" but added that "there are some good things," praising the monster action in particular. In a review of Godzilla 1985, Roger Ebert cited it as his favorite of the Godzilla movies. American Kaiju called the film "a confused Godzilla non-epic that doesn't seem to be sure just who it was made for in the first place." DVD Talk said it "earns points for trying something new, to break away from what was fast becoming a tired formula. The film isn't as entertaining as Godzilla vs. Gigan or Godzilla vs. Mechagodzilla, but it is more original and daring, and ... fans will want to pick [it] up." The U.S. dubbed version was featured in the 1978 book The Fifty Worst Films of All Time. The film was released on VHS by Orion Pictures in 1989 and on DVD by Sony Pictures Home Entertainment on October 19, 2004. The film received another DVD release and a Blu-ray release by Kraken Releasing on May 6, 2014. A video transfer of Godzilla vs. The Smog Monster was released in Canada on DVD packaged with Godzilla vs. Megalon by Digital Disc. After director Yoshimitsu Banno finished directing Godzilla vs. Hedorah, he began work on creating another installment in the Godzilla series. Like his first Godzilla movie, Banno had wanted the next film to have a strong message against pollution. The initial idea was that a mutant starfish-like monster named Deathla battles Godzilla. However, he scrapped this idea and wrote what was going to be Godzilla vs. Hedorah 2. In it, Godzilla was to fight another Hedorah, this time in Africa. Due to Tomoyuki Tanaka's reaction to Banno's first Godzilla film, this was never realized. Banno spent several years trying to acquire funding for a 40-minute IMAX 3D Godzilla film starring a new version of Hedorah called Deathla. The project was tentatively titled Godzilla 3D: To The Max. The project was eventually scrapped but several members of the production team, including Banno, would work on the 2014 Godzilla. In November 2013, Banno stated that he still hoped to make a sequel to Godzilla vs. Hedorah, but died in 2017. Yoshimitsu Banno was so pleased with Godzilla vs. Hedorah that he started writing another Godzilla film. Banno began preparing a script for Godzilla vs. Hedorah 2. However, Tomoyuki Tanaka, who was hospitalized during the production of Godzilla vs. Hedorah, was extremely dissatisfied with the final product and went as far as to tell Banno that he had "ruined Godzilla." Tanaka prevented Banno from directing another Toho film afterwards and demoted him from director to producer on several upcoming films. According to Banno though, from later interviews conducted with him, Godzilla vs. Hedorah 2 was actually still being worked on after he was removed from the project. Although who the new director would have been is unknown, but Jun Fukuda seems the most likely candidate, considering that he would step up to direct the next three Godzilla films. Whether the film was going to keep its Africa setting at this stage is not known. The project was eventually scrapped and three more proposed projects would be introduced that following year before finally settling on Godzilla vs. Gigan (1972). In 2014, in an interview with Banno, he had stated that he read a Godzilla film history book from the US and that he was surprised to read that the next film would take place in Africa and that Tanaka had said that he had banned him from his director position. A single remnant of Banno's intentions to produce a sequel exists in the finished film. At the end of the film, an illustration of Hedorah's tadpole form can be seen, followed by a black screen with red text stating "And another one? ", implying that the director had already prepared a sequel for approval. ^ a b c d e f g Ryfle 1998, p. 358. ^ a b c d e f g h Ryfle 1998, p. 359. ^ "Smog Monster Director EXTRA". Scifi Japan. September 11, 2014. ^ "Smog Monster Director". Scifi Japan TV. September 4, 2014. Retrieved 2017-09-08. ^ Guy Marriner Tucker, Age of the Gods. ^ "Godzilla vs. the Smog Monster (Image Entertainment laserdisc)". I.imgur.com. Retrieved 2017-09-08. ^ "GODZILLA VS THE SMOG MONSTER - British Board of Film Classification". Bbfc.co.uk. Retrieved 21 June 2017. ^ "Sci-Fi Channel schedule for January 1996". Innermind.com. Retrieved 21 June 2017. ^ "Godzilla Vs Hedorah (Gojira tai Hedorâ) (Godzilla vs. the Smog Monster) (1971)". Rotten Tomatoes. Fandango. Retrieved 2019-04-04. ^ "Stomp Tokyo Review - Godzilla vs. Hedora". Stomptokyo.com. Retrieved 8 September 2017. ^ Ebert, Roger. "Godzilla 1985 Movie Review & Film Summary (1985) - Roger Ebert". Rogerebert.com. Retrieved 21 June 2017. ^ "American Kaiju: Mike Bogue's Articles and Reviews: Godzilla vs Hedorah". Americankaiju.kaijuphile.com. Retrieved 8 September 2017. ^ "Godzilla vs. Hedorah (aka Godzilla vs. the Smog Monster)". DVD Talk. Retrieved 8 September 2017. ^ "Sake-Drenched Postcards - Yoshimitsu Banno: Behind Hedorah". Bigempire.com. Retrieved 8 September 2017. ^ "Godzilla vs. the Smog Monster Blu-ray". Blu-ray.com. Retrieved 16 November 2016. ^ McGloin, Matt (November 26, 2013). "Hedorah Confirmed For Godzilla 2014 Movie & Smog Monster Sequel?!". Cosmic Book News. Retrieved February 6, 2014. "ゴジラ対ヘドラ (Gojira tai Hedora)" (in Japanese). Japanese Movie Database. Retrieved 2007-07-18.